From the early stages of learning how to ride, we hear the word ‘impulsion’. What exactly is impulsion and how do we achieve it? Impulsion has nothing to do with speed, and we should think more about ‘energy’ and ‘bounce’ instead. 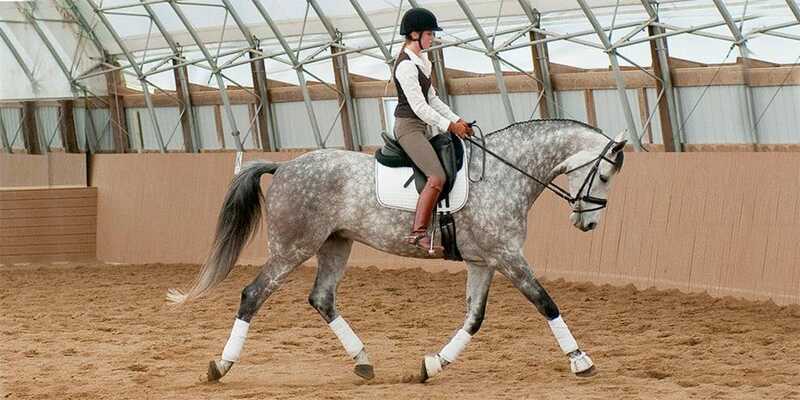 A horse with good impulsion will be in front of the leg, willing to move forward and reactive to the rider’s requests. Without impulsion a horse will end up on the forehand, without good suspension time in any of the paces (which is indispensable for making sure the horse is working properly and to achieve good marks in a dressage competition). If show jumping a horse that is going fast and flat will unfailingly have poles down or end up stopping. Even in cross country impulsion is essential, galloping fast and flat to a solid xc fence could end in disaster; even XC you need to make sure the canter is ‘back together’ a few strides in front of the fence and the horse feels he is ‘coming off’ the ground. Impulsion and rhythm go together. For a good, consistent rhythm your horse must also be working with impulsion, and the other way round. A good exercise to improve both is cantering poles, or a small grid if you have a jumping horse; the poles or the sequence of small jumps will set the rhythm, almost give you a beat and your horse will be naturally encouraged to come off the ground. Ensure, after you go over the last pole or jump, you don’t just let your horse run away or loose the “bounce”, but you encourage him to keep it as long as you can (try a circle after the exercise, it’s easier to keep the good quality pace you have created). So “keeping” what the exercise has created is essential, support your horse, keep the impulsion and DON’T LOOSE THE BEAT! 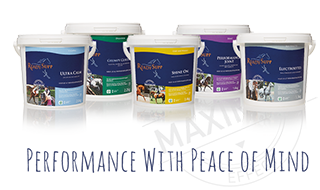 A horse working with impulsion should feel LIGHT, FORWARD, RESPONSIVE, STRAIGHT, and ACTIVE – try to tick all the boxes, it can be a very good start to work with IMPULSION!